Join us on Tues 4/18 for a FREE sneak preview of Death By Design presented by Beaverton Civic Theatre and a talk by former crime lab technician Lisa Morrow on "Forensic Methods: 1930s and Now". This event is presented as a partnership with the Beaverton City Library Adult Services Department. What happens when you mix the brilliant wit of Noel Coward with the intricate plotting of Agatha Christie? Set during a weekend in an English country manor in 1932, Death by Design is a delightful and mysterious “mash-up” of two of the greatest English writers of all time. Edward Bennett, a playwright, and his wife Sorel Bennett, an actress, flee London and head to Cookham after a disastrous opening night. But various guests arrive unexpectedly – a conservative politician, a fiery socialist, a nearsighted ingenue, a zany modern dancer – each with a long-held secret. When one of the guests is murdered, it’s left to Bridgit, the feisty Irish maid with a macabre interest in homicide, to solve the crime. Death by Design is more than homage – it’s a new classic. 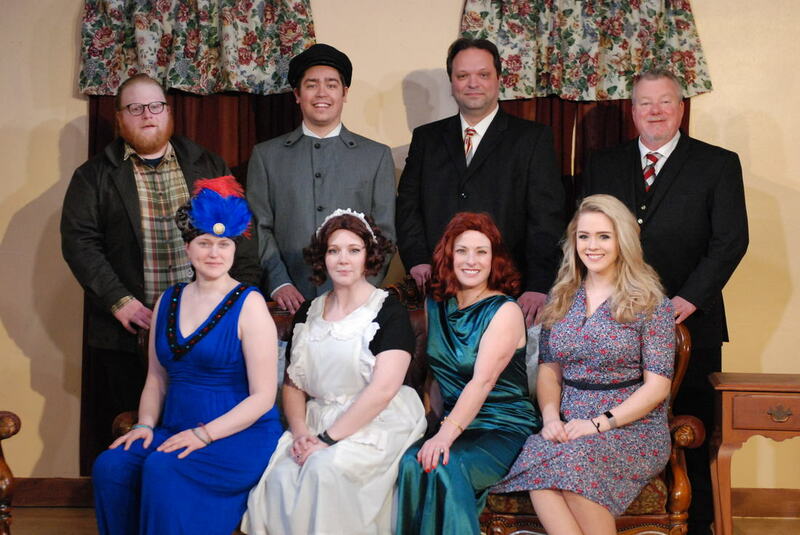 Beaverton Civic Theatre’s current offering, Death By Design, is a light-hearted murder-mystery-farce that asks little of its audience other than hearty enjoyment. The script, kind of a mash-up of Agatha Christie, Noel Coward, and the Marx Brothers (with just a touch of Who’s Afraid of Virginia Woolf? ), is laden with clever one-liners, plot twists (some predictable, some not), and unabashed slapstick. Director Susan Giberson has chosen her cast well, and directed them to go after every possible laugh like terriers with a rat’s nest – subtlety has little place on stage in this production. "BCT's Absurd Death By Design - Undemanding Fun"